‘Once Upon an Island’ is a partnership between schools from small and large islands around Europe. Children set on a quest to explore stories acquiring lifelong learning skills of reading and writing. Using innovative ICT tools they engage in collaborative storytelling exploring European values and identity. Creative workshops and story sessions with parents and grandparents enrich their knowledge through intergenerational learning. 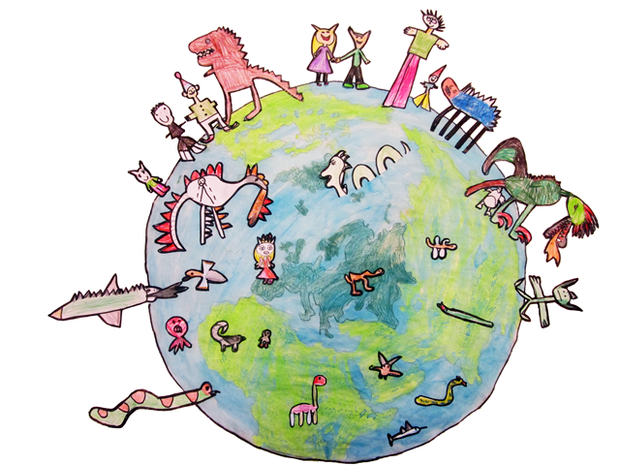 Children are exposed to European language diversity while creating a story in all partner languages using illustrations, audio and music. Many partner schools have migrant children and familiar stories from their own background will boost their interest and motivation in learning. Storytelling through drama, pictures, sounds and music. All partners share their favourite story through the chosen media to be retold in partner languages.Collaborative story writing using Web 2.0 tools. Children from different countries form teams to work on stories.Workshops with parents and grandparents to explore cultural stories. Using pictures drawn by French children from Guadeloupe, Spanish children from Gran Canaria made up a new story.